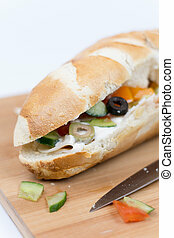 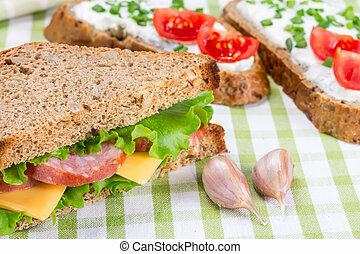 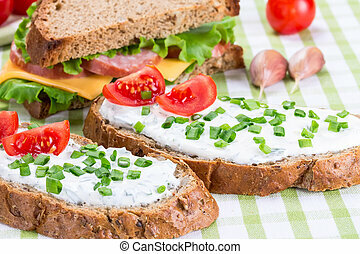 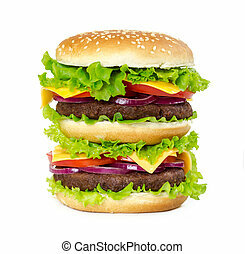 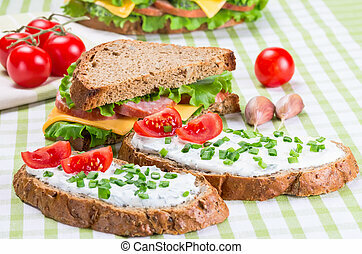 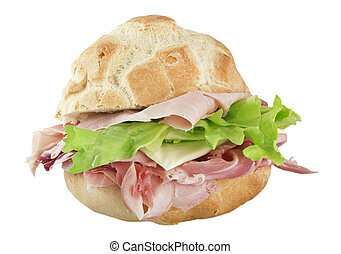 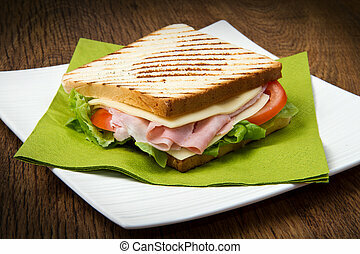 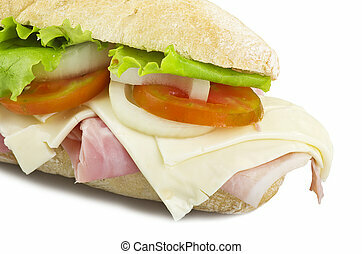 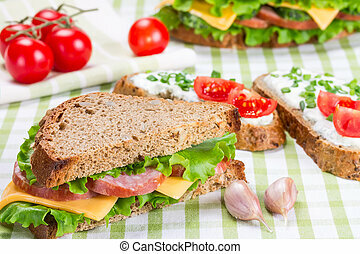 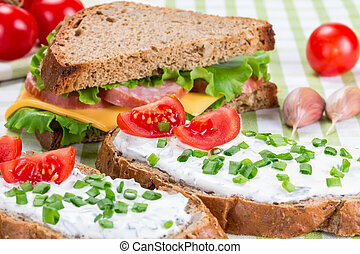 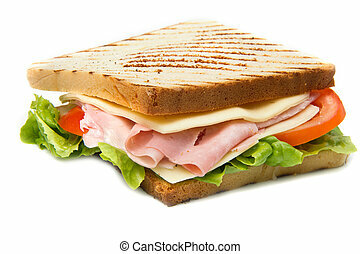 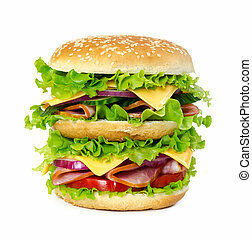 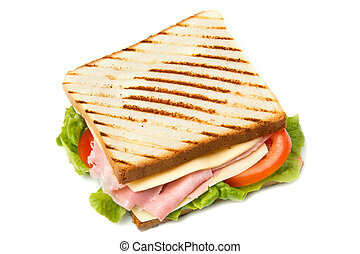 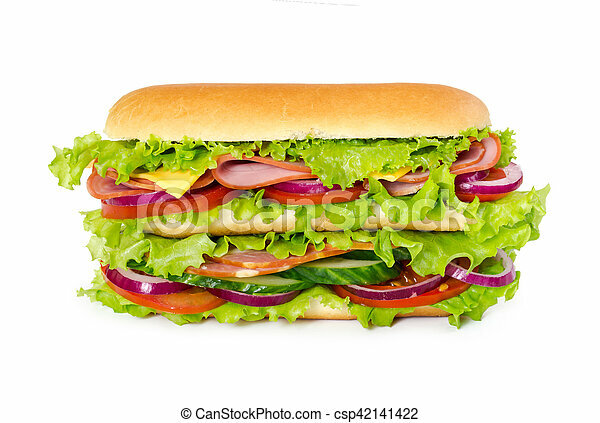 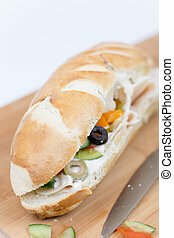 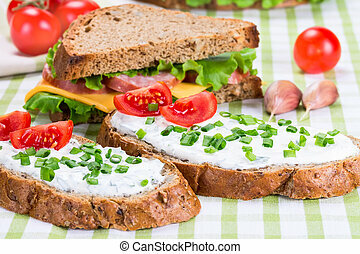 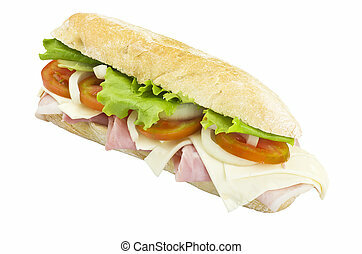 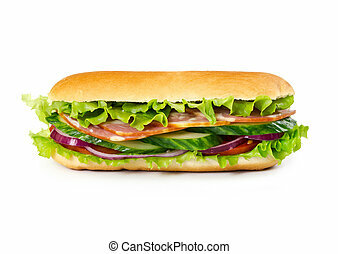 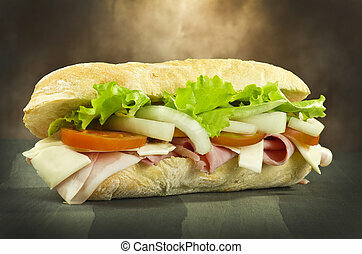 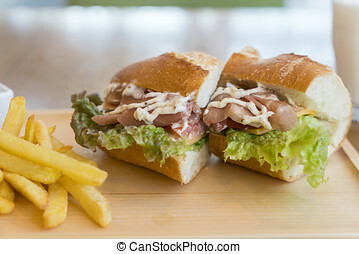 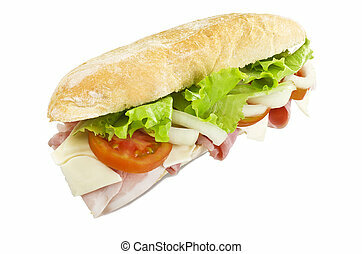 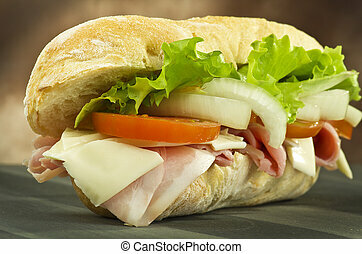 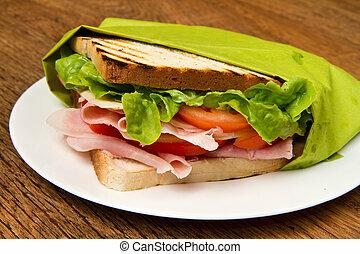 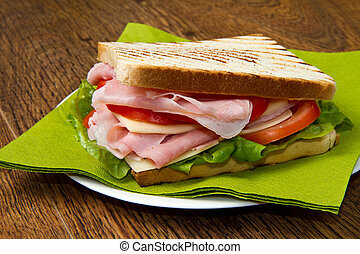 Big sandwich with ham, tomatoes, cucumbers, cheese, onion and salad leaves isolated on white background. 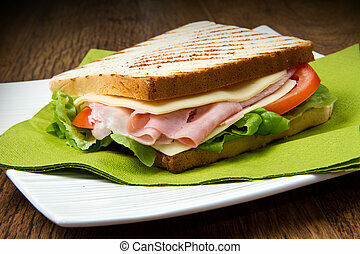 sandwich with ham, cheese and lettuce. 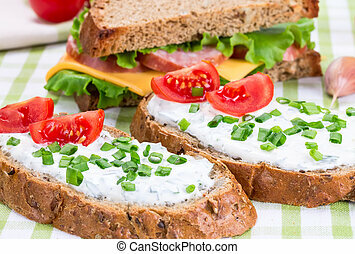 Sandwich with greek salad and ham.